(JTA) — The son of Hollywood star and “Jewish Nobel Prize” winner Michael Douglas was released from federal prison following a seven-year sentence. A convicted drug dealer, Cameron Douglas, 37, got out of jail on Monday and was released to a New York halfway house, the Times of Israel reported. Douglas, who like his father and grandfather, Kirk Douglas, is an actor, was sentenced in 2010 to five years for possessing heroin and selling methamphetamine and cocaine. A year later, he pleaded guilty to possessing drugs while in jail, adding another four and a half years to his sentence. His prison time included two years of solitary confinement. Douglas is the product of Michael Douglas’ first marriage, to Diandra Luker. 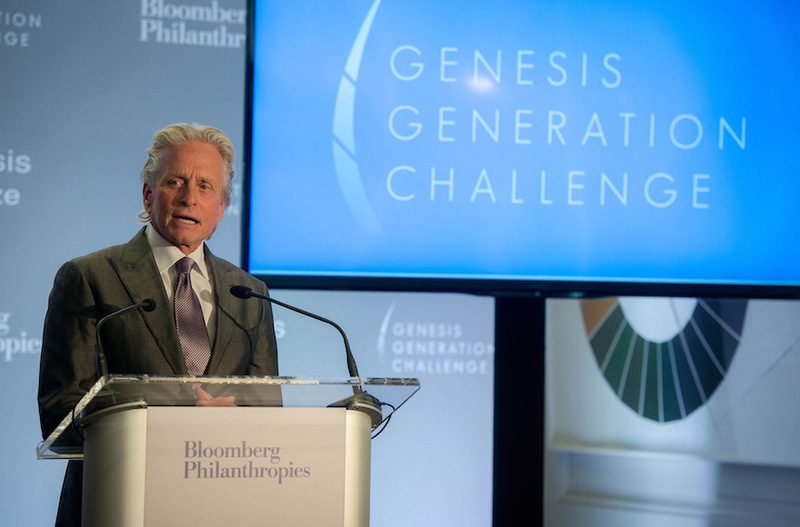 Michael Douglas last year won the Genesis Prize, informally described as the “Jewish Nobel” and has been outspoken about the importance of outreach to Jews who intermarry and their families. He has two other children with his current wife, actress Catherine Zeta-Jones. In 2013, Cameron Douglas published an opinion piece in the Huffington Post criticizing America’s mass incarceration of non-violent drug offenders like himself. Michael Douglas, who in the award-winning 2000 film “Traffic” played the father of a crack addict, has also spoken out in favor of prison reform. Cameron Douglas has appeared in four films, including the comedy-drama “It Runs in the Family,” about a dysfunctional New York Jewish family. The film, released in 2003, also stars Kirk and Michael Douglas.